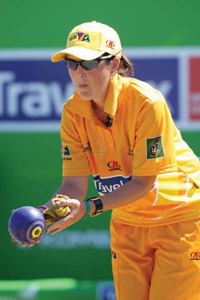 Following the successful introduction of live streaming for the 2010 Australian Open and the Moama International, six matches from next week’s Trans Tasman test series will be available via the Bowls Australia website. For the first time in the event’s XXXII editions, live streaming of one of the game’s fiercest rivalries will be provided, with Australia and New Zealand going head-to-head in the pursuit of international glory. Streamed on a pay-per-view basis, telecasts will cost $5 per match. 28 yr old who started playing bowls in Melbourne as a 6 yr old. I have since moved to the Gold Coast, Qld becoming an Australian Representive (150 games). One of the best things about bowls is the friendships you make with many great people from different parts of the world.